Enjoy a wonderful Island Hopping Holiday Adventure during your cruise to different islands for exciting explorations and snorkeling opportunities. Be a guest at the Charles Darwin Research Station. 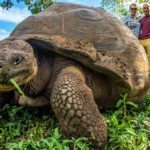 See the giant tortoise breeding center, the impressive vegetation, land and marine birds, and land & sea iguanas, and other species. 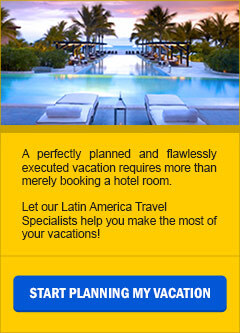 You will admire the many landmarks and enjoy the included excursions. 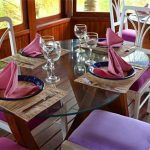 After the day’s activities, you may enjoy browsing the local shops, eating at one of the many fine restaurants or relaxing and visiting with the welcoming people of the islands. DAY 1 | Welcome to the Galapagos Islands | B. Welcome to the Baltra Island airport. Meet and greet service at the airport by your local host. Board the airport shuttle bus to the tip of the Itabaca Channel (separating Baltra and Santa Cruz Islands) where you will proceed by a public ferry service to the Island of Santa Cruz. 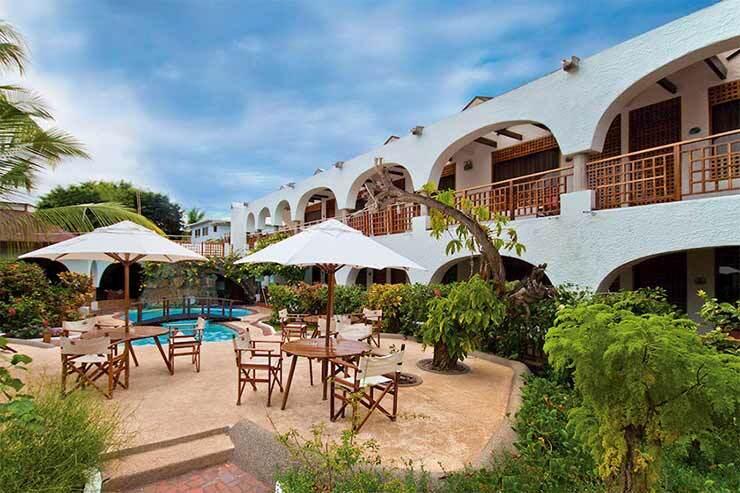 Transport will be waiting in order to transfer you to Puerto Ayora, where the Silberstein hotel is located. 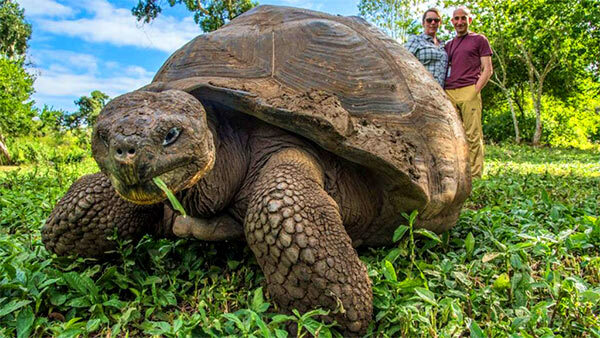 En-route, stop to visit the Highlands of Santa Cruz Island, a Giant Galapagos Turtle Reserve and the Twin Craters. Two-night stay at the Silberstein hotel with breakfast and taxes included. In the afternoon, visit the Charles Darwin Research Station CDRS. 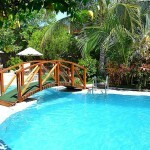 * Balance of the day is at leisure to explore Puerto Ayora on your own. DAY 2 | Excursion to Islands near Santa Cruz Island Coastline | B.L. North Seymour Island Yacht Excursion. A stroll on flat terrain allows the observation of Palo Santo trees and colonies of blue-footed boobies, swallow-tailed gulls and magnificent frigate birds. Towards the other side of the island, the ocean crashes against the rocks and sea lions surf in the waves. South Plaza Island Yacht Excursion. This small island is full of fascinating wildlife, at sea side and along the cliffs: sea lions, land iguanas, swallow-tailed gulls, Opuntia cacti and vegetation that changes colors with the seasons. Bartolome Island Yacht Excursion. The trail is a fairly steep climb on wooden steps to the summit, worth the effort, as there is a spectacular view of the Galapagos scenery from above. Interesting lava formations and tuff cones can be observed. Sea lions and penguins swim in the vicinity of Pinnacle Rock. 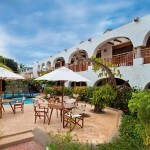 Enjoy snorkeling or swimming from the beach. DAY 3 | Tortuga Bay / Isabela Island / Flamingo Lagoon | B. After breakfast at the hotel, you will enjoy a visit to Tortuga Bay which is considered the nicest spot of the archipelago; a peaceful corner for the nature lover. 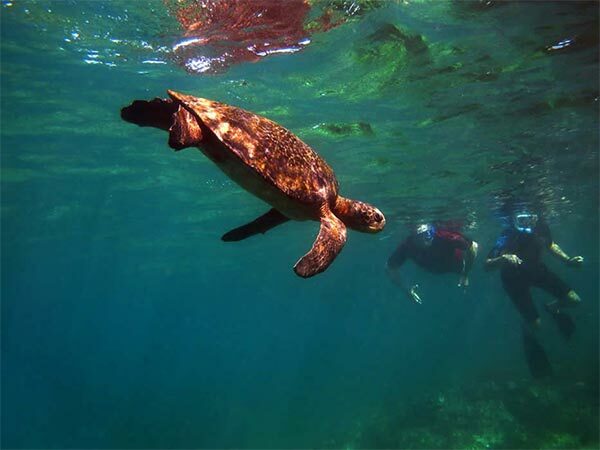 Tortuga Bay’s name comes from the sea turtles that go there to lay their eggs. Excellent bird watching can be found along the way and at the Bay. Mid-day boat transfer to Isabela Island for a three night stay at the Casa de Marita Boutique Hotel. In the afternoon visit Flamingo Lagoon, where chances are good to spot these beautiful birds. The balance of the day is spent relaxing on the beach. Isabela, the archipelago’s largest island formed by five volcanoes, is also one of the youngest and a marvelous world within itself. 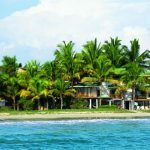 It is home to a small, laid-back island town called Puerto Villamil. This quaint, friendly port is your home-base during a diverse and exciting days where choices for adventure and relaxation abound. DAY 4 | Tintoreras Bay & Concha Perla Cove – Isabela Island | B. Join your guide for a boat ride across the port to Las Tintoreras; en-route chances are good for viewing blue-footed boobies and Galapagos penguins sharing the same rocky sunbathing space. 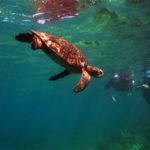 Partake on a nature walk through a jagged lava field, passing abundant colonies of nesting marine iguanas and sea lions. 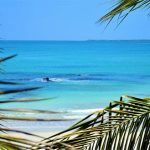 You will also see a small canal of shallow waters, full of resting white-tipped reef sharks. The views from here are something you will take with you for the rest of your life! The black, treacherous lava field, the emerald green sea, the green mangroves, and the cloud-capped volcanoes of Isabela, create a backdrop you are not likely to ever forget. Snorkel in this warm, shallow bay surrounded by mangroves, for an opportunity to see white-tipped reef sharks, sea lions, sea turtles, and, of course, the mystery of the mangrove below the surface. Don’t worry; white-tipped reef sharks are not aggressive, but merely fascinating. At the appropriate time, enjoy a short ride to the Concha Perla site for swimming and snorkeling on this lagoon-like Bay – Balance of the Day is spent enjoying the beach. DAY 5 | Leisure Day to enjoy the Beach in Isabela Island | B. 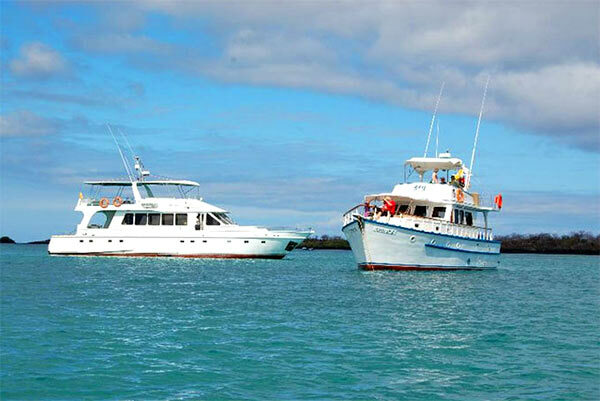 Spend the day at leisure, taking in the crystal waters of the Galapagos and making memories that will last a lifetime with family and friends! DAY 6 | Santa Cruz Island / Academy Bay | B. After breakfast you will be transferred by boat for Santa Cruz, where the navigation will take about 2 to 2.5 hours depending on sea conditions. Check-in at the Silberstein Hotel for an overnight stay with breakfast and taxes included. In the afternoon, cruise to Academy Bay: Enjoy nature hikes, swimming and snorkeling during this activity. A 20 minute yacht ride to a small Islet just outside Academy Bay called La Loberia (the sea lions home). Here guests have the opportunity to swim and snorkel with playful, curious sea lions and colorful fish for around 30-45 minutes. The Channel of Love, with its turquoise colored water is home to blue-footed boobies. A half hour walk leads you to the “The Beach of the Dogs” home to a large colony of marine iguanas. Las Grietas, an amazing canyon will open up within approximately 45 feet high walls. DAY 7 | Santa Cruz Island / San Cristobal Island / Tijeretas | B. 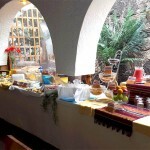 Breakfast at the hotel, followed by a boat trip to San Cristobal Island for a two night stay at the Miconia Hotel. Today’s activities include; Interpretation Center, an excellent place to learn about the volcanic origins of the islands, their remoteness from the continent, ocean currents, climate, the arrival of the different species and their colonization, among other points of interest. The human history is also showcased, chronologically narrating the most significant events related to the discovery and colonization of the islands. Tijeretas Hill involves a high intensity walk amidst beautiful landscapes and a magnificent view at the foot of a frigate bird nesting colony. Swimming and snorkeling will be enjoyed before returning to the hotel. DAY 8 | Lobos Island & Ochoa Beach | B.L. Today, we will navigate to Isla Lobos, which is named after its large colony of sea lions (called Lobos Marinos in Spanish). 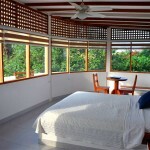 Here, we will enjoy a Nature Hike and Snorkeling. 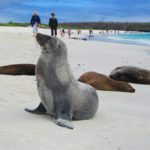 Usually, visitors may have close encounters with sea lion pups, especially while snorkeling; however, this small islet offers much more including blue footed boobies, frigates, and even a glimpse at the second type of sea lion species found in Galapagos: the Fur Sea Lion. Afterwards, navigate to Ochoa Beach for swimming and more snorkeling. Lunch is included on-board the boat. Balance of the day is free for independent activities and/or last minute shopping in the town of Puerto Baquerizo. Important Note: All boat Excursions and water transfers are provided on share boat basis. 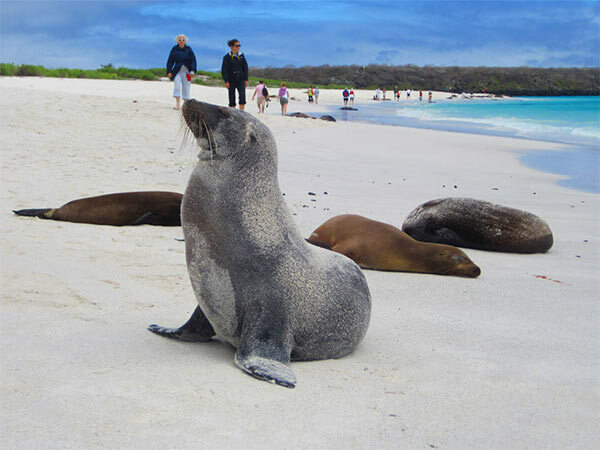 Tour Operations in Galapagos, may change due to climate conditions and National Park regulations, so the order of the visits might be altered in order to render better service and to guarantee the amount of excursions as well as the safety of the operation. DAY 9 | San Cristobal / Guayaqui or Quito / Home | B. Breakfast at the hotel. At the appropriate time, group transfer to the local airport for flight to the Ecuadorian mainland (airfare is not included) for your connecting flight home! Gracias amigos y Buena Suerte! ² Child rate applies to one child up to 11 years old, sharing accommodations with two adults and using existing beds. 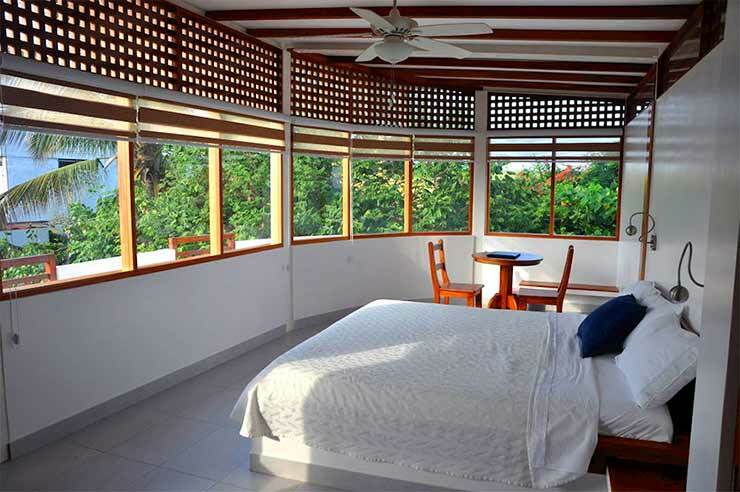 In Isabela Island: La Casa de Marita Boutique Hotel overlooks the Pacific Ocean, is 7 km from El Muro de las Lágrimas, the commemorative Wall of Tears, a 10-minute walk to Puerto Villamil Beach and El Embarcadero Pier, and a short walk to Concha de Perla Nature Park. All 19 individually decorated accommodations feature Frette Italian sheets and down comforter, a sitting area, original contemporary art, wood beam ceiling, ocean or garden views, some have balconies, free Wi-Fi, private yard, minibar and bathroom with rainfall shower, hair dryer, and free toiletries. Suites offer living and dining rooms and kitchenettes, as well as panoramic terraces. Room service is available. Other amenities include free self-parking, a nightclub, rooftop terrace, free Wi-Fi in public areas, dry cleaning/laundry, luggage storage, library, coffee shop/café, private beach, a bright restaurant serving local and international fare, as well as an oceanfront deck with seating and hammocks. Also there is express check-in and check-out. 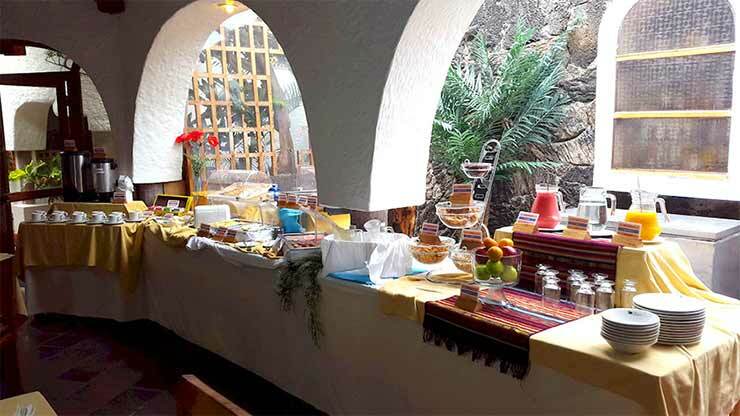 In San Cristobal Island: Miconia Hotel is a charming hotel certified by SMART VOYAGER with a privileged location facing BAHIA NAUFRAGO, Puerto Baquerizo Moreno on San Cristobal Island. The hotel is just a 3-minute walk away from Oro’s beach, Shipwreck bay is 1,000 feet away and La Loberia beach can be reached after a 15-minute drive. San Cristobal Airport is just 5 minutes away by car, and a 5-minute drive will get you to a variety of restaurants and Mann Beach. 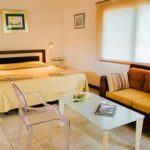 Each air-conditioned room – double, twin, triple, and suites, provides a TV, minibar, desk, safety deposit box, free Wi-Fi, and a private bathroom with a shower. 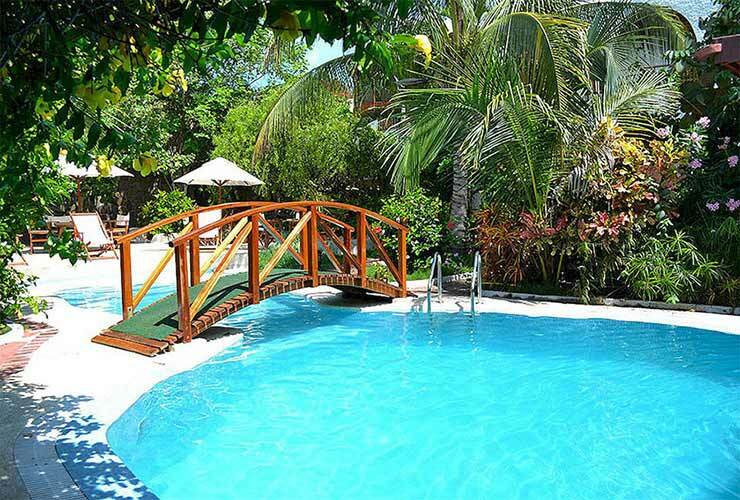 Miconia has a covered spa, outdoor pool with a social area with hammocks, free American breakfast, a fitness center, tour desk, and laundry facility. The hotel also offers an on-site seafood restaurant. The price does not include: personal expenses, additional activities, international and local airfares as well as airports departure taxes (unless otherwise indicated), gratuities to guides, drivers, porters, bell and wait staff, and any other service not listed. 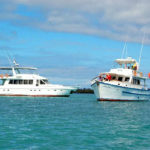 The Galapagos National Park Fee ($100.00 per adult person, and $50.00 for children up-to 11 years of age) and the Galapagos Immigration Card ($20.00 per person), as well as Fuel Surcharges (if any) are not included. EcoAmerica Tours, LLC. and/or any of its agents will not claim any responsibility for injury, damage, loss, additional expenses, accidental delay or other irregularities which may be caused either through willful or negligent acts or omissions on the part of companies or individuals providing or engaged in transportation, accommodations or other services related to the execution of the tour, or through natural calamities and other factors beyond its control. Prices are subject to adjustment in the event of any change, without notice. EcoAmerica Tours, LLC reserves the right to change any tour if considered necessary in order to render better service to its clients.